The Queen’s Award for Voluntary Service – This award is given to voluntary groups within the UK who are recognised for their outstanding voluntary work. 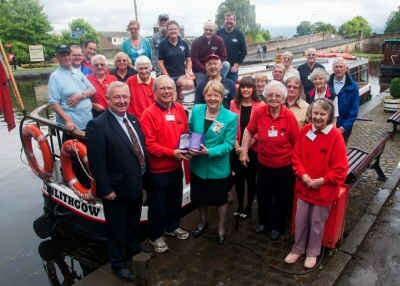 In May 2012 LUCS discovered that they had won the award (only eight groups received the Award in 2012) and the Award was presented to LUCS member on 18th August by the Lord Lieutenant of West Lothian, Isobel Brydie. The grading system used by VisitScotland assesses businesses according to a set of national quality standards, ensuring that the requirements of the grading. 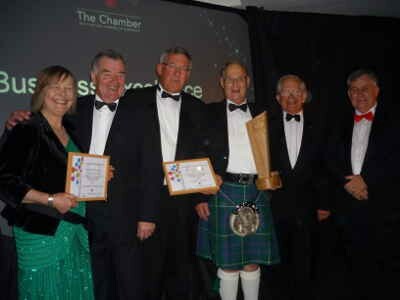 West Lothian Council Business Excellence Awards are presented annually to organisations in West Lothian under a number of categories. LUCS received an Award as the Best Tourism Business in 2013 and achieved Runner-up in 2014.